Specifications & sCO2 Brayton cycle framework definition will define the optimal architecture of the cycle, specific operating parameters and features for the components and the flexibility requirements. Boiler development focuses on the design of the boiler, through materials’ selection and testing. Turbomachinery development focuses on the turbomachinery design and includes the testing of a compressor design, analysis of corrosion effects, and thermodynamic, aerodynamic and mechanical simulations. Heat exchanger (HX) development is dedicated to the HX design and focuses on materials’ selection, evaluation of the thermal & hydraulic performances and manufacturing and testing of a 500 KW compact HX. Optimization of cycle flexibility focuses on finalizing the integration of components via static and dynamic modelling and simulations and at designing a control strategy enabling proper operation of the cycle. Technological validation and applications deals with the finalization of the optimal design, building on the analysis of the data generated by the previous WPs, of a 25MWe cycle and the comprehensive assessment of the potential applications of the sCO2 Brayton cycle. 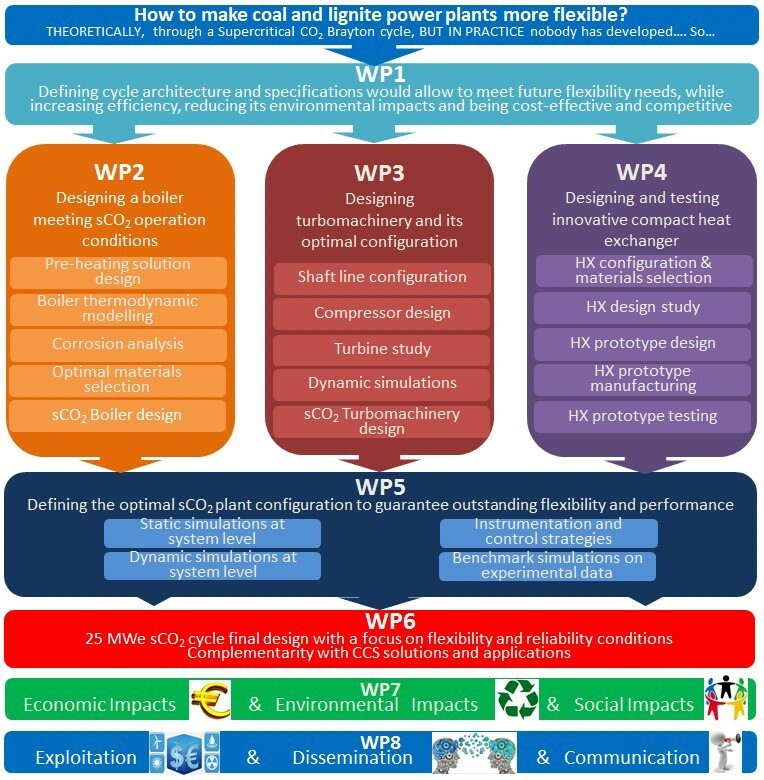 Financial, environmental and social impact WP7 will assess sCO2-Flex global solution cost effectiveness, environmental and social impact both of the new power plant critical components and of the new sCO2 cycle concept and I&C strategies when ensuring high flexibility and efficiency. Exploitation & Dissemination of the results WP8 includes communication and dissemination activities targeting both scientific and industry stakeholders, as the project is expected to have a strong impact in both areas. 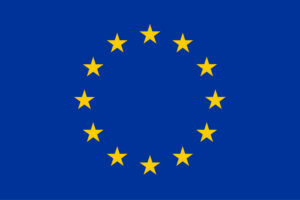 Robust exploitation plan will be elaborated in this WP in order to ensure the successful uptake of the results. Project management This WP will set up the needed management structure in order to ensure the proper implementation of the project and the proper involvement of both sCO2-Flex’s partners and relevant stakeholders.